For the past week we were tasting kosher wines at the 2012 Herzog International Food and Wine Festival. 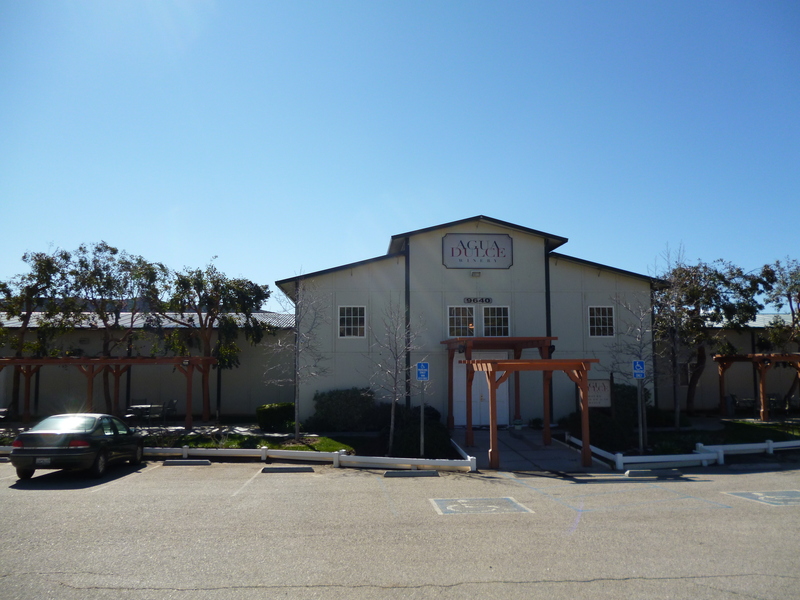 It was a wonderful event and one that was well received, look here for an in-depth write-up, along with another tasting at the Cask and a tasting at what I call ADS (Agua Dulce & Shirah), for the Agua Dulce Winery and Shirah Winery. The note below is for one of the wines that I took home – the 2010 Agua Dulce Cabernet Sauvignon. We tasted through all of the 2010 and 2011 wines of both Agua Dulce and Shirah winery. I can safely call Craig Winchell, the wine maker of Agua Dulce a friend, a person I have known for some 20 or so years and one who I have crazy respect for. Gabe and Shimon Weiss (also known as the Weiss brothers) are a pair of young and talented men. Gabe is the mashgiach (kosher certification supervisor) for Agua Dulce and the wine maker of Shirah wines. Shimon, Gabe’s brother, is the marketing genius behind the cool labels, slick website, while also being an impressive carpenter, and possessing a darn good palate as well. I will be writing up my impressions on both wineries in due time, but for now I wanted to talk about the wine I tasted over Shabbos. I took/borrowed four half bottles from our tasting of Agua Dulce wines and they were impressive overall. I was privy to things that I do not wish to discuss but also somewhat stunted my enthusiasm for a couple of the wines, but issues that I know Craig will work out before the wines are released to the public. Craig joined the winery in 2010 and all wines from that time on were made kosher. I took home a Cabernet that I must say, I was not expecting from the vineyards of this winery. 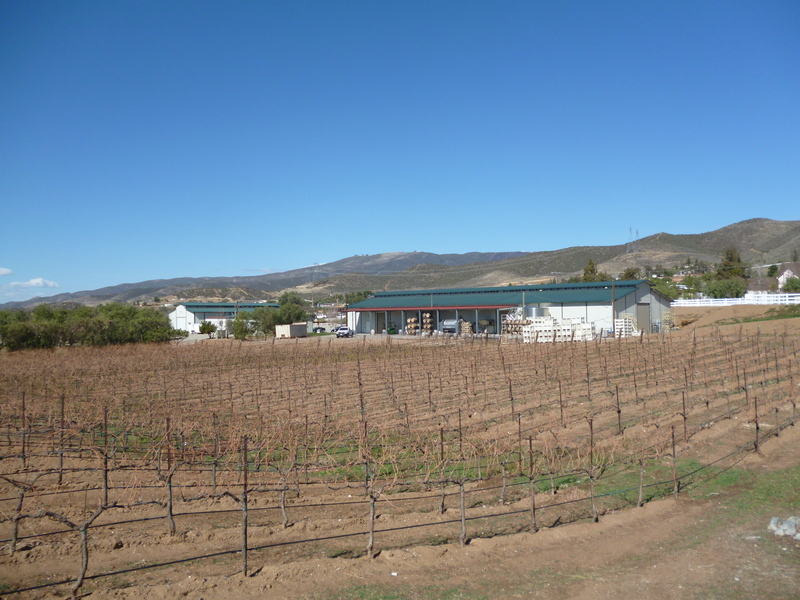 The 90 acres of Agua Dulce’s vineyards are planted in desert plains at an elevation of 2000 feet. The winter days can be downright cold and the summer days can warm up a bit, but not to a point of Napa or the Central Coast. Gabe, who tasted the wines with us, said that the terroir of this vineyard is the black pepper that is obvious within all of its wines. There are many small black pepper bushes around, but that may well be an effect of the land and not the cause. The vineyard is a cold weather vineyard and one of the outcomes can be low ripeness, during cold summers, like the past two years. Under ripe fruit can sometimes shows green notes that in the hand of a professional like Craig can sometimes mean a masterpiece. The Cabernet was luscious, rich, with big fruit and green notes that almost forces you to take notice of them, with a long linger of obvious and classic bell pepper. All together the wine was really lovely. I truly enjoyed the wine along with a bottle of Cabernet from 2011 along with a bottle of Syrah, Zinfandel, and the fore mentioned Cabernet from 2010. The 2011 Cab is quite rich and has more weight because of the higher alcohol, but for now the 2010 shines brightest. The other two wines from 2010, the Syrah and Zinfandel are both quite impressive, but the Syrah is the clear winner of those two and very close, if not exactly even with, to the 2010 Cabernet. I will report back on the notes of the other wines, as they did not show as well a day later, which is totally reasonable. The crazy thing is that the 2010 Cabernet was as good if not better and totally scoreable for the place it was tasted (my home), so that is the wine I will note below. PLEASE look forward to more notes and a complete write-up on the Agua Dulce and Shirah wines that we enjoyed this past week, coming soon to this blog soon. PLEASE NOTE: The wines I tatsed through, the 2010 and 2011 wines from Agua Dolce, are kosher, but are not yet available for purchase. These were early and further along barrel samples and will not be ready for prime time, for some time yet. That said, the wines are showing nicely and I look forward to tasting the line again, when they are closer to or already bottled. To pair with the Agua Dulce wines we made some sick and lovely flanken short ribs (ribs cut against the bone, not with it) that we bought at the new kosher market (Pars Market) here in San Jose. We have already spoken a few times about what short ribs are versus flanken versus English cut ribs. No matter the name, the product and the way to cook it is the same, simple – SLOW AND LOW! I am almost done with my cache of bad whiskey (yes we covered this in the past), but no matter the product, as long as it has a hickory or oak taste the whiskey will be a good medium to slow cook your ribs. Why? Because hickory or oak melds so well with brown sugar and spices to make a killer, yet simple, braise for the ribs. Also, though our old recipe calls for browning each and every riblet, it can be very tiring, and can take a ton of time. Instead, I saw a new episode of America’s Test Kitchen and in it they “roasted” the riblets in the oven and the riblets were nicely browned and their fat was rendered, thereby assuring that the slow cook braise will comprise more of sweet alcohol goodness and less of nasty grease. To complete the meal we made some simple long grain Basmati brown rice and a fresh green salad. The nose on this dark purple colored wine is filled with candied fruit, nice oak, toast, chocolate, blackberry, rich black pepper, and cassis. Over time the wine shows some black plum, graphite, and bell pepper. The mouth on this full bodied wine starts with large mouth coating tannin, lots of black fruit, lovely oak, and nice extraction that comes together into a rich and lasting mouth. The finish is long and spicy with black plum, cassis, more chocolate, graphite, and bell pepper. As the wine opens it shows a concentrated and mouth filling wine with lovely cherry cola, blackcurrant, bell pepper in the mouth and finish, cloves, lovely vanilla, and eucalyptus. This is a lovely wine that needs time to open but once this settles down it will be quite an impressive wine and one that you should seek out. Posted on February 19, 2012, in Food and drink, Kosher Red Wine, Wine, Wine Tasting, Winery Visit and tagged Agua Dulce, Cabernet Sauvignon. Bookmark the permalink. 5 Comments.